Before there was the city, there was the port; New London is considered to be the best deep-water harbor on Long Island Sound. Mohegan and Pequot people made use of the area’s abundant marine resources for thousands of years prior to the English settling the area in 1646. Half way between New York City and Boston, the site offered settlers safe harbor and good anchorage, with easy access to the sea. New London quickly became a thriving community based on coastal trade to the West Indies. Connecticut’s main customs port from colonial times, the first lighthouse built on Long Island Sound is New London’s Harbor Light. Mare Liberum, or The Freedom of the Sea, became the City’s motto. From this bustling port numerous ships set off around the world in search of seals and whales. 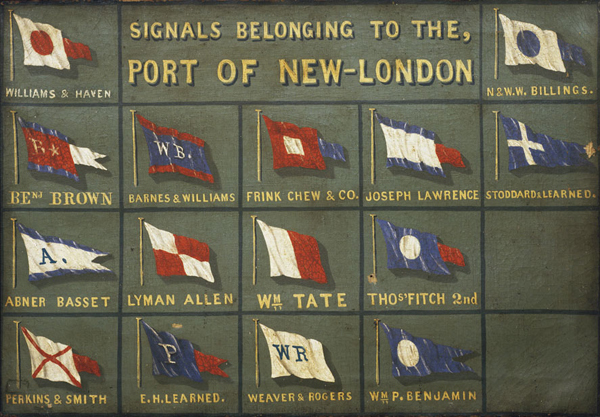 For several decades beginning in the early 19th century, New London was the world's second busiest whaling port. The wealth that whaling brought into the city furnished the capital to fund much of the city's present architecture. The state’s busiest port of entry and base of customs activity (and resultant federal revenue generation), New London is where the Amistad landed in the US in 1839, putting into motion events which lead to the first Supreme Court case to set enslaved people free. Throughout the 19th Century luxurious side-wheel steamers carried passengers and cargo the length of Long Island Sound. 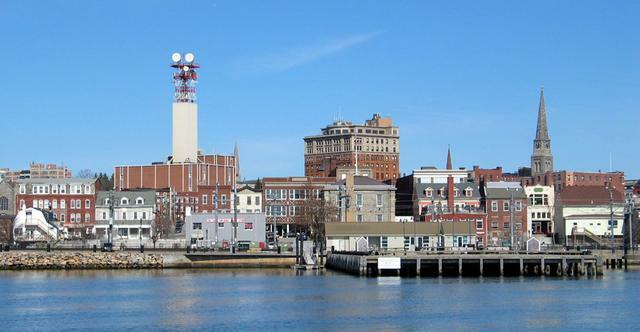 With the coming of the railroad in mid-century, New London became a regional transportation hub and tourist destination. Just as the early settlers recognized the fine qualities of the New London harbor, so did the early government. 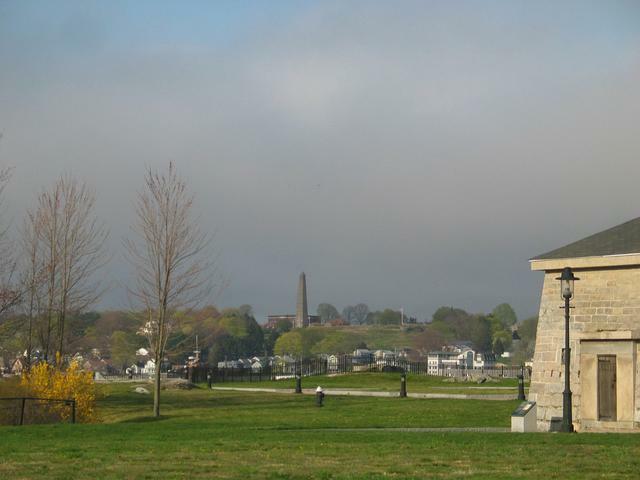 In 1775, fortifications were built at Fort Trumbull to provide the settlement shoreline defense. At the end of the Civil War, the Federal Government accepted land in Groton for a new naval base, paid for by New Londoners. In 1910, the U.S. Revenue Cutter Service’s School of Instruction moved to Fort Trumbull. In 1915, Congress merged the Revenue Cutter and Lifesaving Services to create the Coast Guard. The school became the Coast Guard Academy and in 1932 moved to its current location on land donated by the citizens of New London. 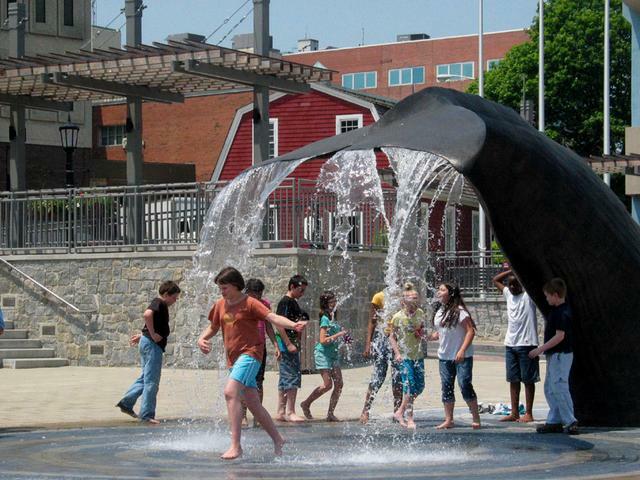 America’s first submarine base was established here at the beginning of World War I. The Thames River has long been an active shipbuilding center. Following World War I with the beginning of submarine construction, the area became a major part of the military industrial complex: the world’s first nuclear-powered submarine, the USS Nautilus, was launched into the Thames River in 1954. The Navy continues to homeport submarines at Sub base New London in Groton. Today ferry service connects New London to Long Island, Block and Fishers Islands. 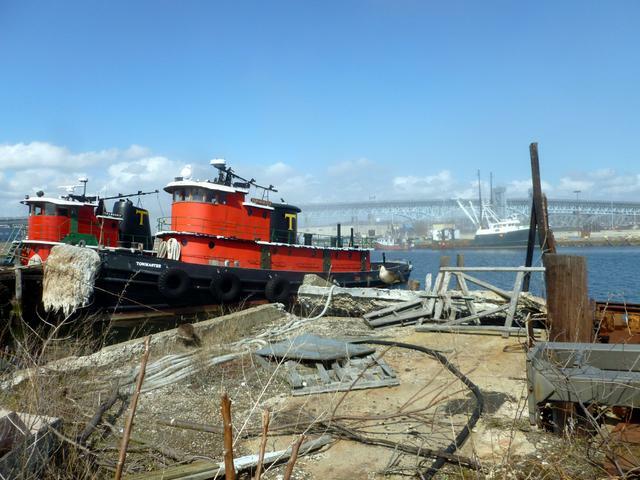 New London is home to fishermen, including a major scallop company, a new mooring field, the Custom House Maritime Museum, the United States Coast Guard Academy and “America’s Tall Ship” Eagle home-ported here since 1946, and the soon-to-be constructed USCG national museum.